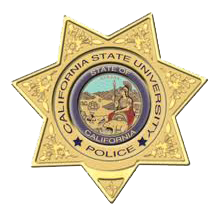 We are the on-hand, 24-hours a day, 7-days a week Police force serving the campus and immediate surrounding community (consistent with the California Penal Code Section 830.2 and the California Education Code 89560). We have 11 fully-trained and sworn police officers on staff, as well as numerous employees and student assistants. Be prepared, get familiar with the University's emergency preparedness efforts on campus. All faculty, staff and students should regularly ensure their StanAlert contact information is up-to-date. Keep updated with the latest news and events from our department, be sure to “like” our Facebook page! EOC members click on the icon to access your account.